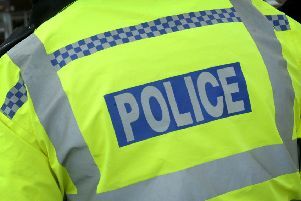 Police are warning Lincolnshire residents of an ongoing rogue traders scam. Yesterday, Wednesday October 30, a male called at a farm yard in Spaldlng selling tarmac. There is an ongoing scam where rogue traders arrive at farm premises, sports clubs and small businesses offering to tarmac or resurface car parks and driveways with tarmac or gravel using tarmac left over from work they have carried out locally for the council or local authority. This is offered free or for £50. Once the tarmac is laid and the job is complete, the price is massively inflated with threats and menaces. If any uninvited rogue trader calls at your farm or business contact Lincolnshire Police immediately, Tel 101 (non emergency) or 999 emergency, quoting incident number 72 of 30/09/15.